November has been warm across much of the Midwest compared to what is "normal". I'd be willing to bet your electricity bill reflects the milder temperatures. I know mine has! Temperature departure from normal across the Midwest. We're getting close to the end of Meteorological Fall (September 1 - November 30) and the start of Meteorological Winter (December 1 - February 28). Temperatures in Fall 2011 will go in to the books above normal for just about everyone in the Midwest. But it appears that Mother Nature is aware that meteorological winter is just around the corner as it looks like colder air is on the way. Forecast models are hinting at a change in the weather pattern starting as early as this weekend. The change in the pattern should bring a prolonged period of colder air to much of the country. Before we get too excited about the cold air coming for the weekend, let me say that Thanksgiving and the day after Thanksgiving look to be nice. Winds will begin to turn out of the south Friday (it will be breezy) and temperatures will climb under mainly sunny skies. A strong cold front is projected to move through the central United States starting Friday. Along the front, showers and thunderstorms will develop. Some of the rain could be heavy at times Saturday/Sunday (depending on where you live). Once the front passes, winds will shift and temperatures will plunge. 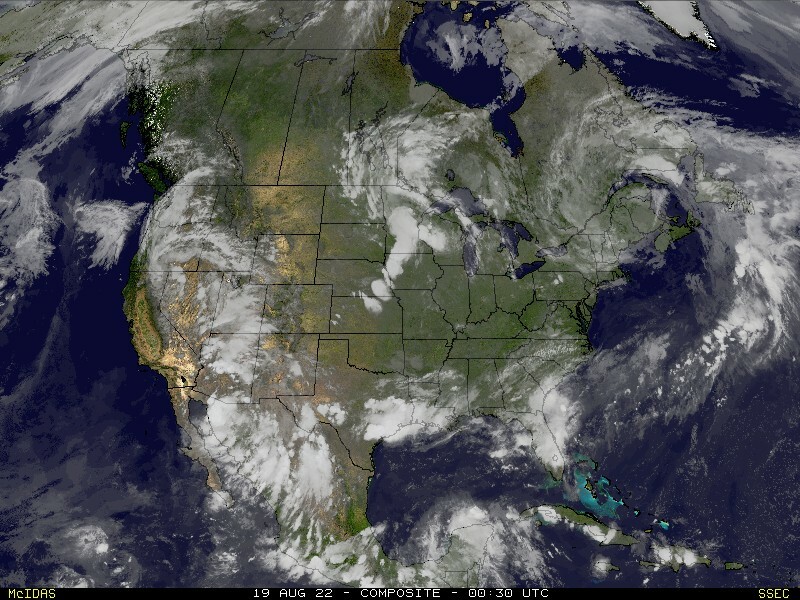 Here's a view of the weather setup for Sunday evening as advertised by NOAA's global forecast computer model (GFS). 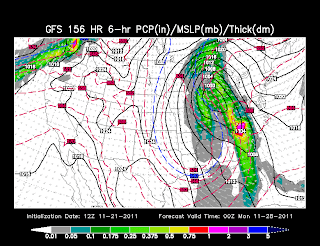 According to the GFS, cold air will dive all the way to the gulf coast by Sunday evening. (Hint: Look at the blue 540 line.) 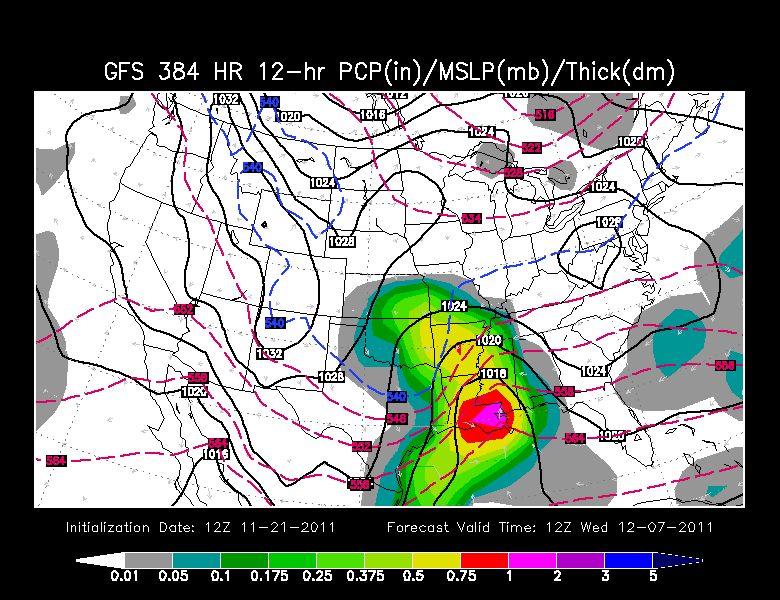 This also indicates an upper-level low will develop and center over Missouri by Sunday. With the low, low clouds will hang around. The clouds are indicated by the gray shading. Along with the clouds notice the model keeps some precipitation around Illinois, extreme eastern Missouri and western Kentucky. IF this precipitation lags behind the cold front and IF the temperatures drop as much as advertised much of this moisture would fall in the way of light snow. The European Forecast Agency's computer forecast model is also hinting at something very similar. 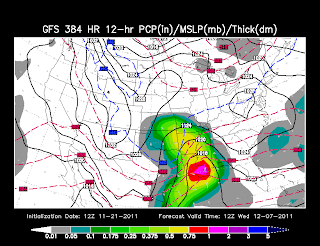 (See above) The slight difference in the European model holds off the moisture until Monday afternoon/evening. At this point, it is splitting hairs between the two models. The key is to see the trend of what the two models are showing and the trend is very similar. At this point I'm not concerned with the amounts as it should be relatively light. But yes, there could be snow flurries and snow showers Sunday night through Tuesday morning. Again, this is nothing to get excited about. My "Freak-Out-Meter" is pretty low, less than a 1 (on a scale of 1-10). The models keep the cold air in place all next week. Yes, the temperatures might warm up a little but I think we will likely be below normal during the stretch. This would make sense with my belief in the "Law of Averages". November was very mild, relatively speaking, so we are due for some below normal temperatures. Let's have some fun now... Look waaaay out in to the future. The GFS allows us to look 384 hours in to the future (16 days). At the end of the forecast run it is hinting at a decent storm developing along the gulf coast. Over running the storm is a moisture plume that extends as far north as Kansas City. The model also brings down some colder air on the back side of the storm that would likely interact with the moisture plume spreading north. IF this storm were to pan out this way, that's a BIG IF, southeast Missouri, southern Illinois and western Kentucky would likely start out as rain December 7 and eventually change over to a rain and/or snow mix by that night or early December 8. This would definitely bare watching if the model is right. I should say that the model is not very good at depicting what is going to happen that far out in its run. The model is likely to take the storm out of the equation over the next several runs. 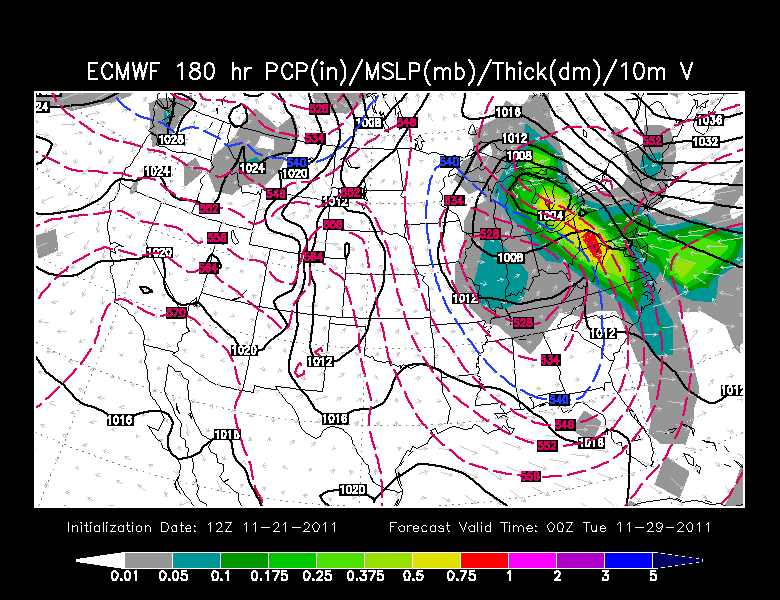 In fact, what usually happens is the storm will show up once and then go away on all subsequent model runs. I just wanted to give you a "behind the scenes" look at some of the data meteorologists look at but don't always mention because we know it isn't likely to happen. But, as I like to say, "Stay tuned..."
I am looking forward to winter and cold weather! Thanks so much for working to keep us up to date on the weather probabilities and possibilities.